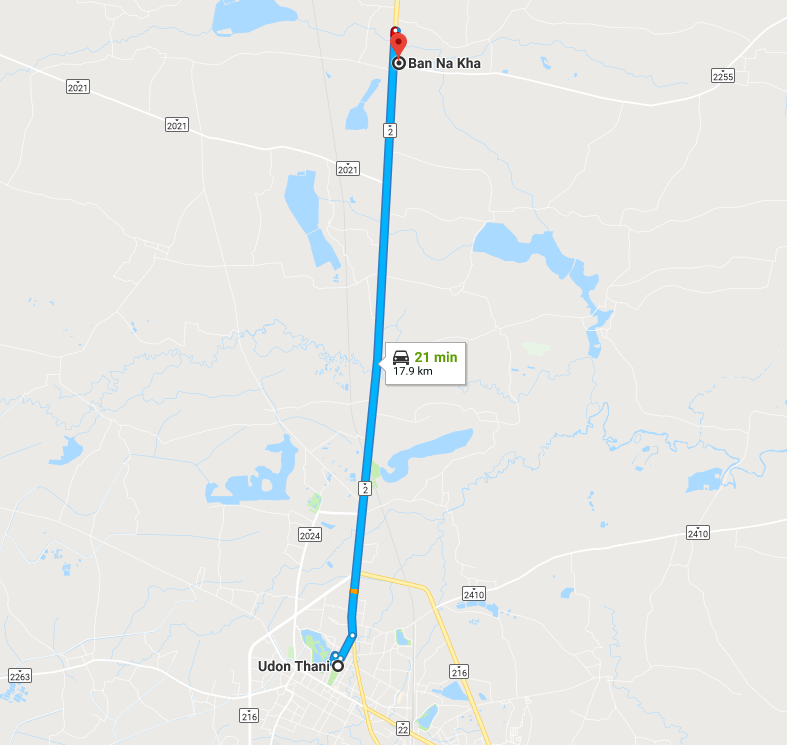 Ban Na Kha Silk Village is a well known tourist attraction in Udon Thani Province, and is one of the closest attractions to Udon Thani city, just a 15km trip on the Nong Khai road to the north on highway 2. 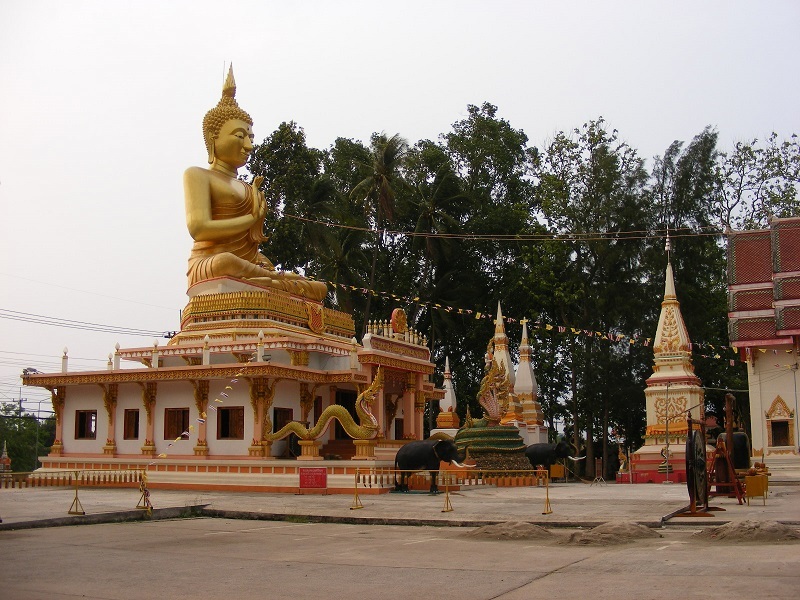 The Silk Village is near impossible to miss, featuring a massive gold Buddha that well and truly catches the eye on your right as you head to Nong Khai, immediately before a blue footbridge that crosses the highway. The Buddha here stands perhaps 30m+ high, including the temple it is perched upon, and is a rather impressive sight in its own right, in conjunction with a raft of important other Buddhist symbols and structures. Wat Ban Na Kha Thevi is not among the more-chronicled temples in Udon Thani, however it could be considered criminal if you were to visit Ban Na Kha Silk Village and not take in the temple buildings while you are here. 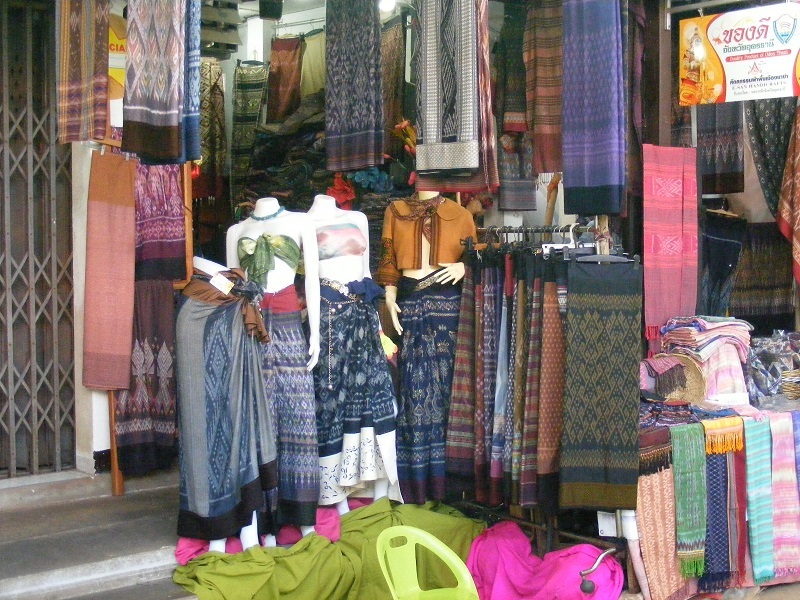 Indeed, if you are particularly 'grabbed' by all the silk, then the temple will be of more interest. 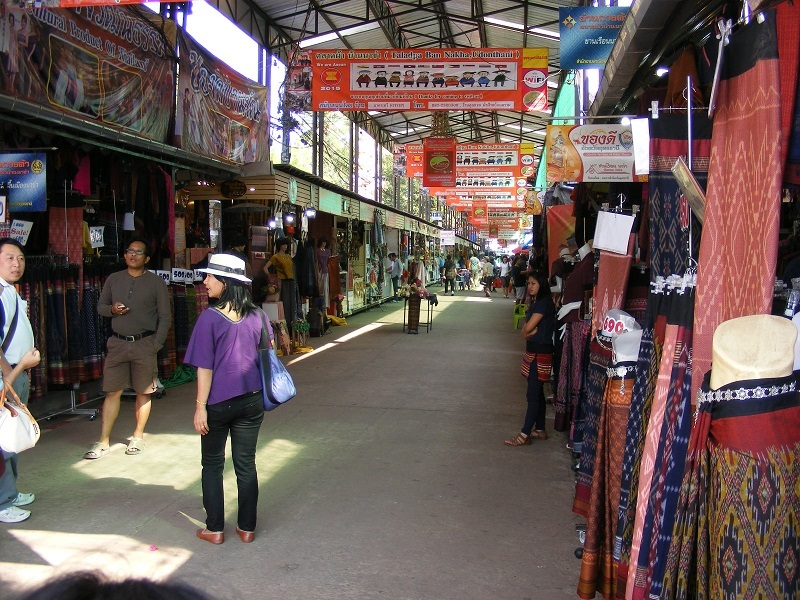 The Silk village is next door to the temple, heading back toward Udon Thani, and as the name suggests, it is a market where you can buy just about any colour or pattern of silk you could dream of. 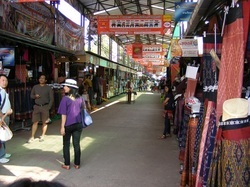 There are loads of stalls here, and it can appear a little overwhelming, and if you are looking for something specific, perhaps frustrating as you wade through stall after stall to find exactly what you want. 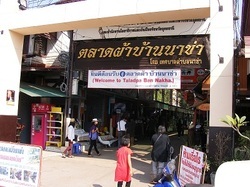 From Udon Thani, take Highway 2 towards Nong Khai and look out for the giant Buddha statue on the right at about 15km. You will then need to perform a U-turn to join the opposite carriageway, and head back south to the village and temple entrance.